If you’ve been seeking out a large vehicle with serious space and commanding performance, there’s a good chance you’ve checked out some different SUV options. The 2016 Chevrolet Tahoe is quite a competitive choice thanks to its standard V8 power, available four-wheel drive, and versatile passenger options. The 2016 Dodge Durango may also have some initial appeal because of its available all-wheel drive, but a closer look shows us where the Chevrolet model usurps the competition. If you’re of the same mind, come check out the newest rendition of the Chevrolet Tahoe near Bloomingdale at Sunrise Chevrolet in Glendale Heights. When you’re looking for an SUV that can really get the job done, the 2016 Chevrolet Tahoe can handle more. 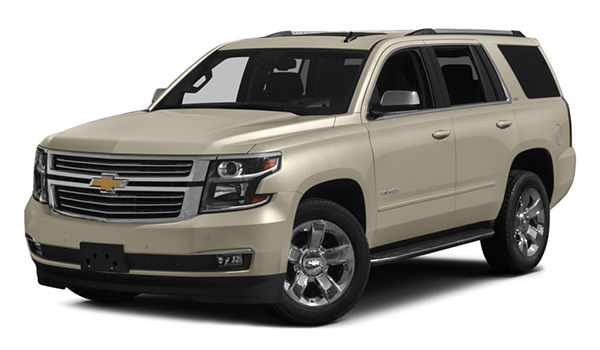 As a full-size, truck-based, body-on-frame SUV, the 2016 Chevrolet Tahoe is built to tackle serious work. Every model comes equipped with a 5.3L V8 engine mated to a six-speed automatic transmission. You can take your pick between rear-wheel drive and four-wheel drive, and if you choose the latter, you’ll also get a two-speed transfer case with low-range gearing for serious towing. In fact, a properly equipped version of the Tahoe can tow up to 8400 pounds. The Durango is a crossover SUV, which means that it doesn’t have a body-on-frame, truck-based design. Its standard engine is a 3.6L V6 that only makes 290 hp and 260 lb-ft of torque. You can choose between rear-wheel and all-wheel drive, but there’s no four-wheel drive option. There is a 5.7L V8 engine available, but it still won’t get you above a 7400 pound towing capacity. Many people interested in buying an SUV have serious passenger demands. The 2016 Chevrolet Tahoe comes with three different passenger setups, the first of which provides seating for eight passengers, with two in front, three in the second row, and three in the third row. The top two trims offer available second-row captain’s chairs, which reduce seating capacity to seven. If you need more passenger space, you can get a first-row bench seat for a maximum of nine passengers. 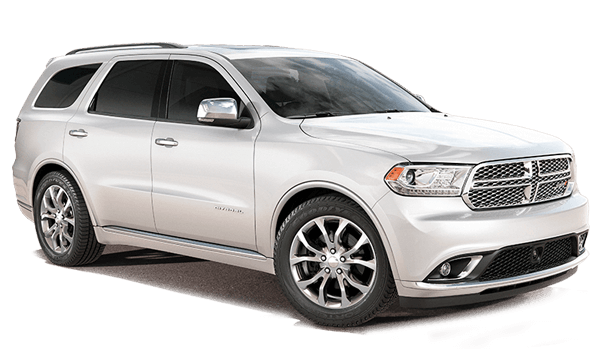 No matter which version of the 2016 Dodge Durango you choose, you’ll get the same setup, allowing you space for just seven passengers. Whether you plan on using it for aggressive off-road adventures, hauling your boat, or toting your family around town, the 2016 Chevrolet Tahoe can do it all. You’ll find this vehicle on sale near Bloomingdale at Sunrise Chevrolet, located at 414 E. North Ave in Glendale Heights, IL. Our sales team is standing by to take your calls during our sales hours, Monday through Saturday.